Shop online for 31 ne-scale-lumber model trains at discounts up to 16%. 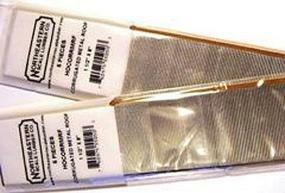 Scratch Supplies is the most popular of the 4 ne-scale-lumber model trains categories, then Track / Accessories, and Buildings. This is the Railroad Ties Qty 750 HO Scale Model Railroad Scratch Supply by Northeastern Scale Lumber. This is the Corrugated Roofing/Siding HO Scale Model Railroad Scratch Supply by Northeastern Scale Lumber. 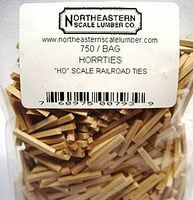 This is the Low Profile Wood Ties Qty 500 HO Scale Model Railroad Scratch Supply by Northeastern Scale Lumber. This is the Clapboard (1/4 x 12 Long) HO Scale Model Railroad Scratch Supply by Northeastern Scale Lumber. 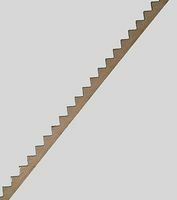 This is the Stair Stringer HO Scale Model Railroad Scratch Supply by Northeastern Scale Lumber. 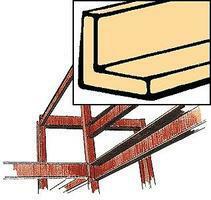 This is the Wood Angles (22 x 1/32 x 1/32) Qty 5 by Northeastern Scale Lumber. This is the Freight Bolster HO Scale Model Railroad Scratch Supply by Northeastern Scale Lumber. 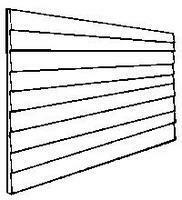 This is the Fascia Board (1/64 x 3/32 x 12'' .004 x .23 x 30.5cm) 5 pack N Scale Model Railroad Building Accessory by Northeastern Scale Lumber. This is the Wood Tees (22 x 3/64 x 3/64'') Qty 5 Model Railroad Scratch Supply by Northeastern Scale Lumber. This is the Overhanging Roof Supports/Eave Brackets (13/16" x 13/16" x 1/16'') (40 Pack) Model Railroad Building Accessory by Northeastern Scale Lumber.